VIANGBUA MANSION SERVICED APARTMENT IN CHIANG MAI THAILAND "OPENING NOW"
We accept daily, weekly and monthly rental, advance reservations and walk-in guests. Welcome to our comprehensive websites about our serviced apartments. Whether you are traveling to Chiang Mai for vacation or for business, our serviced apartments can offer a more affordable alternative to a hotel room. Since our serviced apartments can be rented from one night to up to years, you can settle into our comfortable, full-size apartments without committing to a long-term lease. Our serviced apartments living allows you to avoid the hassles of utility connections, furniture purchases, maid services and expensive rental deposits. 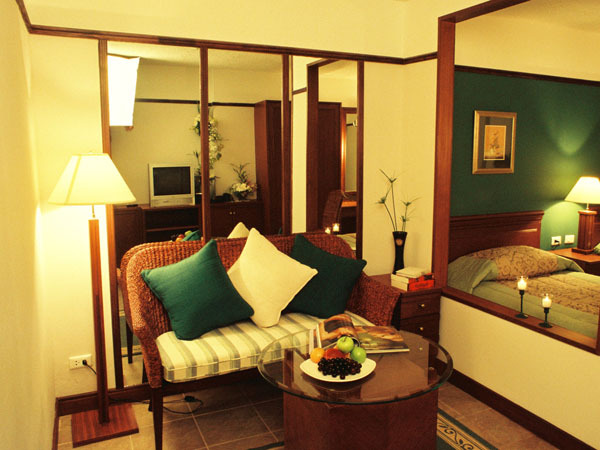 At our serviced apartment, you will call it home. Officially launched on the 15 November 2004, our serviced apartments are now open for walk-in and advance reservations on a daily, weekly & monthly basis. 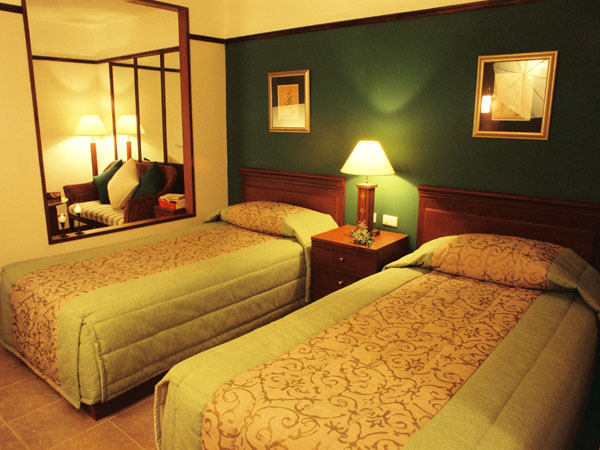 We offer 108 fully furnished rooms in 5 categories ranging from Superior (SUP Type 1, SUP Type 2), Deluxe (DLX Type 1, DLX Type 2) to Grand Deluxe. Convenient Location, Fully Furnished Rooms, Cleaning Service, Hi-Speed Wireless Internet, Restaurant, Coffee shop, Dryer Machine, Launderette, Fax and Mail Services, Fitness Centre, Spa and Traditional Thai Massage. Each individual room in our serviced apartment is built with luxury interior decor of contemporary Thai-Lanna (Northern Thailand) style. The only one of its kind available in Chiang Mai, Thailand. For generations, travellers who have visited the city of Chiang Mai have written about the innate and generous hospitality of the Thai people toward travellers and guests. This traditional hospitality is practiced to this day at Viangbua Mansion Serviced Apartment Chiang Mai. Our English speaking staffs are more than happy to take the time to help out, offer advise and provide a wide range of services, always with a warm and heart-felt smile. Furthermore, Viangbua Mansion serviced apartment is owned by an established family-run company in Chiang Mai, that really understand and put emphasis on the finer points in hospitality: luxury, services, safety, comfort and personal care policies. So when you decide to stay in our serviced apartment, you can be sure that you'll experience the highest level of luxury and unparalleled comfort and safety.